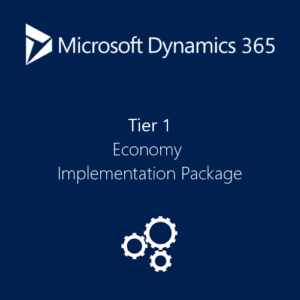 Purchase Dynamics 365 Implementation Plans in minutes. As a Microsoft Certified Gold partner, TMC’s Professional Services team with over 400 years of combined consulting expertise will confidently navigate your implementation through the essential steps of the kickoff meeting, business process review, module setup, data conversion, integration scoping, report modifications, user acceptance testing, end-user training, project management, and post go-live support. We have perfected 3 streamlined fully-remote implementation packages for our customers, so no matter your size or location, we have the right implementation package for you! As always, if you need more than what is listed in the implementation packages below, we can come on-site for traditional training and offer customized services. We are excited to get started on your Dynamics 365 implementation! Fill out the form below to start your ERP Implementation for Microsoft Dynamics 365.